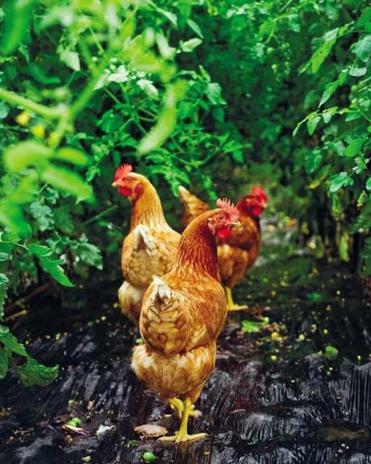 Chris Fischer’s cookbook features many of the ingredients that he grows at his farm on Martha’s Vineyard. Chris Fischer’s roots on Martha’s Vineyard go back 12 generations. The island native cooked at Babbo in New York and other leading restaurants before returning home. In 2011 he took over his grandparents’ Beetlebung Farm. That’s where he grows many of the ingredients he features in “The Beetlebung Farm Cookbook” (Little, Brown), written with Catherine Young. In addition to providing recipes, Fischer, who lobstered with his father and grew flowers with his grandfather, tells stories and offers advice, such as how to sharpen a knife and cook over an open fire. At the Martha’s Vineyard Book Festival , Fischer will participate in a panel discussion, “The New Community Food Movement: The Future of Local and Seasonal Cooking at Home and Across America.” The other participating cookbook authors are Laurie David, producer of “Fed Up,” a documentary about food additives; Southern chef Steven Satterfield; and Corky Pollan, who collaborated with her daughters on a book of the family’s favorite recipes. Rounding out the panel is Ali Berlow, author of “The Food Activist Handbook: Big & Small Things You Can Do to Help Provide Fresh, Healthy Food for Your Community” (Storey). She also is co-publisher of Edible Vineyard magazine and founding executive director of Island Grown Initiative, a nonprofit that promotes the island’s family farms. The food panel is one of six themed discussions taking place Saturday at the Harbor View Hotel in Edgartown. Other subjects include women in sports, the bond between humans and animals, and the art of memoir. It’s evident that organizers of the book festival place a high value on local as well as national interests. There will be a reading of poetry written by longtime Vineyard resident Peggy Freydberg, who died this spring at the age of 107, and the festival’s opener on Friday features Ta-Nehisi Coates of The Atlantic and NPR host Michele Norris discussing “Whatever Happened to Post-Racial America?” Coates’s new book is “Between the World and Me” (Spiegel & Grau). Norris in 2010 created The Race Card Project to help foster dialogue about race. The full schedule is at mvbookfestival.com. It was on Aug. 5, 1850, that Nathaniel Hawthorne and Herman Melville became friends during a walk in Great Barrington up Monument Mountain, now a Trustees of Reservations property. Nearly 165 years later, a guide will lead hikers up the mountain on Aug. 2 to commemorate the literary friendship. At the summit, there will be a poetry reading and a toast with sparkling cider. A picnic will follow at Arrowhead, Melville’s home in Pittsfield. Details at www.thetrustees.org and mobydick.org.